Getting retired is one of the important moments in anyone’s life as after many years of getting up early and going to work, it’s time to finally do something else. If you have a colleague or family member who is approaching this point in their life, you most probably want to get them a present to show your appreciation and support. In the selection we’ve made below, you’ll find some very nice ideas for gifts that go from being funny and cute to being useful, such as books and guides on how to make the most out of retirement in general. So take a look and pick your favorite one. If you want to get a retirement gift, but would rather find an option that the recipient will be able to use on his or her own, a gift card can definitely be the right way to go. Amazon’s eGift Cards service might come in very handy, given the wide range of options you have with these cards. The eGift Cards never expire, you can either deliver it right away or schedule it in advance, and you can also include a personal message. Designed for different occasions, there are 250 models you can choose from, so you don’t need to worry about finding the right one. This high-quality ceramic mug is a nice choice if you want to get a cute and funny gift that will remind the person receiving it about you every day. With an 11 oz capacity, the size is just right to enjoy a good cup of coffee every single morning. Both sides feature premium printing, and the model is also microwave and dishwasher safe. Moreover, the large, easy-grip handle comes in handy for taking the mug anywhere around the house. If your friend’s or colleague’s favorite color is green, then you should give this one a try and brighten up their retirement mornings. Ernie Zelinski’s How to Retire Happy, Wild, and Free is an inspirational guide on how life can be enjoyed to the fullest when one gets to this stage. Since someone who’s retiring can face fears, hopes, and dreams, this book provides support to deal with these and enjoy the beautiful moments that are yet to come. While other books focus on how to plan your finances up until your last working day, treating this as the finish line, that’s where Zelinski’s book is just getting started, by giving out advice on what someone who is retired can do and how to approach this life-changing event. If you are looking for the right retirement gift under 100 for a colleague or a family member with a sense of humor, then you’ve come to the right place. The 11oz. white ceramic mug can be used for both coffee or tea, while the easy to grip handle makes it easy to be carried around. The premium printing creates a vibrant and long-lasting design that goes on both sides of the mug, and that is also lead-free. There’s nothing to worry about in terms of maintenance, as this model is both microwave and dishwasher safe for a highly convenient use. Dr. Seuss’ collection of quotes works splendidly for all ages, and this is shown by the fact that it’s a New York Times bestseller. Theodor Seuss Geisel’s work was and still is highly appreciated. That’s why this book can also be one of those thought-out Christmas presents that you can get for your loved ones. The collection consists of over sixty pages of Dr. Seuss’ art, illustrations, and quotes from classics such as The Cat in the Hat or Horton Hatches the Egg. As the full name suggests, this book works for both those just starting out, as well as for those already on their way. ThisWear’s 3-piece Cooking Apron Set is the right gift if your co-worker or family member is someone who enjoys preparing a good meal every now and then. The 3 pieces included in the set are the apron, an oven mitt, and a pot holder. Of course, they all have matching designs for a stylish look. The pieces are made of durable and lightweight cotton, this material ensuring that the person using it remains comfortable even in the heat of the kitchen. The adjustable neck strap also enhances comfort by providing a good fit, while the machine-washable construction means it can be easily cleaned anytime. Shop4Ever’s Stemless Wine Glass could be the right choice for wine enthusiasts, as it features a high-quality construction and a funny message that will surely be appreciated, especially by someone who’s retiring. The glass is made of durable materials, while the message is engraved not printed, meaning that it will not fade away with time. Its generous capacity can hold up to 15 oz., making it perfect for a wide range of occasions. The dishwasher-safe construction means that there’s nothing to worry about in terms of maintenance, and the item also comes with care instructions so that you can enjoy it for years to come. If you’re in the market for a unique gift idea for guys, then take a look at this Cooking Gift Set model, as it might be the right alternative for you. The set has all the necessary items to smoke meat on a gas or charcoal grill, including a stainless steel smoker box, a specialty thermometer, and three flavors of smoking wood chips, as well as many others. The wood chips included feature Hickory, Apple or Cherry flavors, and their quality is the same as the one you can find in restaurants and that is used by professionals. The chips come in resealable boxes. Robin Ryan is a bestselling author and has been a career counselor for over 20 years. So if the person you are getting it for is not sure how to make the move and transform this experience into a fulfilling one, this book might be the right retirement gift. It includes well-thought advice on how to remain active, how to plan for retirement and stick to it, in order to get all the possible benefits out of these years. Some consider this book to be a manual for retirement and an excellent starting point for anyone who’s approaching or already taking this step. Retirement is an important moment in any person’s life. Whether it is someone close, or just an acquaintance who is retiring, you need to find a proper gift to offer to the retiree. It is essential to stop for a moment and think of what that person may want or need as a retirement gift. 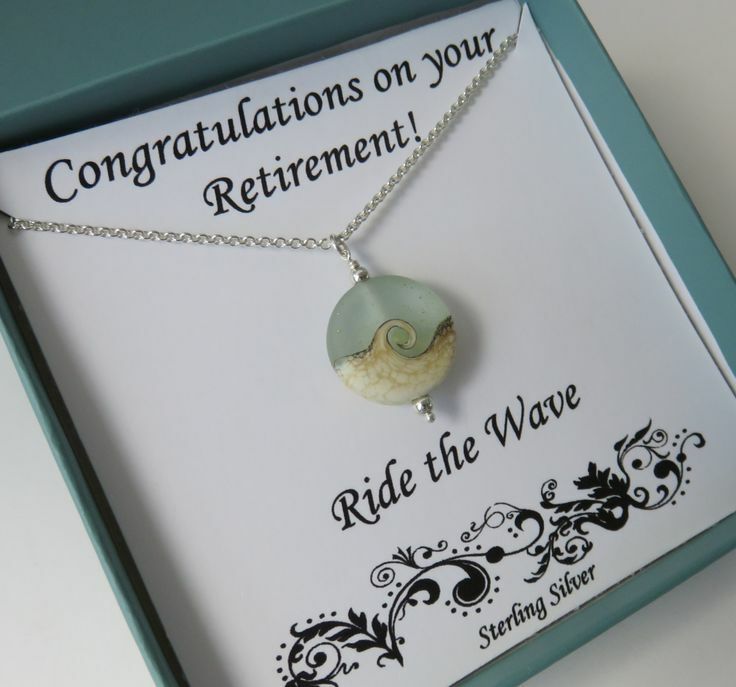 If you search online, you will notice that there are many cool gifts for retirement available. But how can you be sure that the gift you choose is the right one? 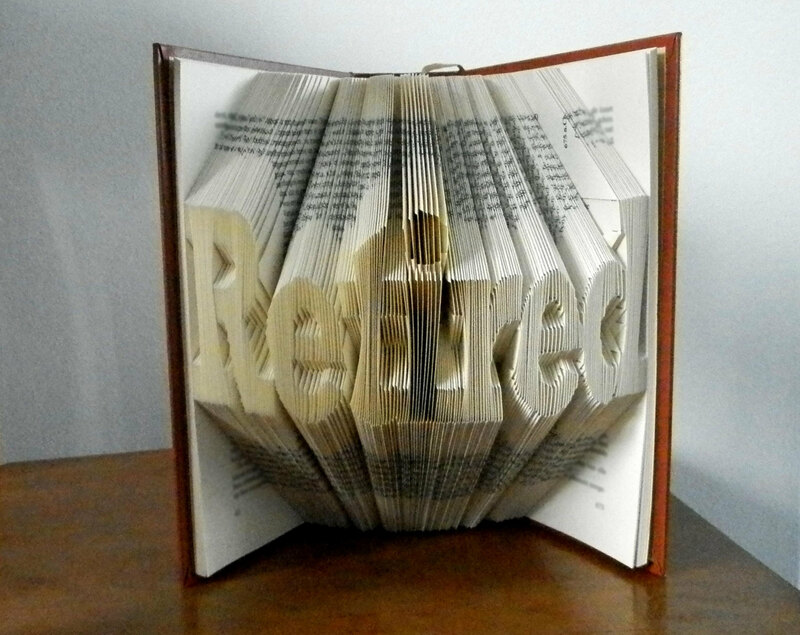 If you are close to the person who is going to retire, things may be simpler, to some degree. You surely know what their personal interests and preferences are. That’s ideal for a starting point. But even then, you may still feel at odds about how your gift will be received. Take into consideration this particular moment in the recipient’s life. Retiring means changing their lifestyle for something completely different. They can now enjoy their favorite hobbies and even modify the way they live to the extreme, by choosing to travel, for instance. Make sure you pay attention to such details if you want your gift to be much appreciated by your friend. Are you looking for the best retirement gifts available? We are here to help you out. Whether you want to show your colleague your appreciation, or you aim for the practical side of things, you need to know how to narrow down your search. This way you can rest assured that your effort to pick the right gift was not in vain. It is highly indicated to tap into the emotional vault of shared memories if you want to offer your friend something to remember as the years go by. It is not as difficult as it may seem at first glance. For instance, you can pick a gift that sometimes remembers the recipient of a shared family vacation. In case you want to do something different, go for a commemorative gift. You can pick a plaque with a certain message that will make your friend smile. A framed photo with all the people attending the retirement party can also be considered a thoughtful gift. Think about adding a personal touch to your gift. Have everyone sign the commemorative photo. Find a message that you know will strike a sentimental chord. You will notice right away that your colleague appreciates the gift and that means that you managed to achieve your purpose. The gift can be something reminiscent of the years spent with the company. For many people, their workplace becomes a second home, and when they leave, they want to take a piece of that place with them. As long as you manage to play on the delicate heart’s strings with your gift, you will know you made the right decision. Nobody says that a retirement gift needs to be a physical item. The best retirement presents can be the ones that offer a fantastic experience. Let’s say that your friend likes fishing. How about signing them up for a fishing adventure you are certain they will enjoy? After retirement, many people opt for doing the things they were too busy for a while they were working hard on their careers. You can offer a starting point for enjoying their hobbies, now that they don’t have to go to work anymore. It is not mandatory to give this kind of gift, especially if you are not very familiar with your colleague’s plans right after retirement. But you cannot go wrong if you pick a day at the spa, especially if your colleague is a woman. They will love being able to relax, and it will feel like a real reward for a life of working hard. Even if such a gift does not come in physical form, your colleague will remain with the memories, and those will be valued for many years. After all, what you’re aiming for is to impress them and help them feel great. There are plenty of things to jot down on your shortlist if you’re aiming for helping your friend enjoy their hobbies more after they retire. The retirement gifts reviews you can read online often mention that this is a great starting point, and it is impossible to go wrong. For instance, for someone who is into fitness, some cool equipment would be helpful. You don’t have to think big. In case you are shopping on a budget, it can be particularly difficult to purchase a gift that is expensive. Buy a fishing rod for someone who is passionate about fishing, or a sewing software for someone who has this hobby; these are fantastic gifts that you should not overlook. In case you are not that familiar with your colleague’s hobbies too well, there is a solution to consider, and that is purchasing a gift card. This way, they can buy whatever they want, and you will know that you didn’t waste money on a gift that will end up not being used. We mentioned earlier that purchasing a costly gift may not be feasible if you are on a budget. But there is a solution to consider, in case you know for certain that there is something the retiree would like more than anything. Group gifts are such a solution. With so many retirement gifts available for sale, you may feel hard pressed to choose something that fits a certain budget. But you can expand this budget, by enlisting everyone at the workplace to contribute. Your colleague will remember you and the entire crew as people who care, and that is the most important thing. The possibilities become much more varied, once you pick this solution. The only thing you need to do is to organize a brainstorming session with everyone, so you can decide together what gift you should purchase for the retiree.